There’s nothing more frustrating than getting a tangle when spinning. 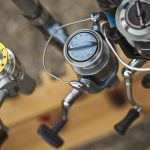 Spinning reels are deservedly popular with Aussie anglers. They are simple to use, cast easily and modern manufacturing techniques can produce a high-quality reel for a very reasonable price. 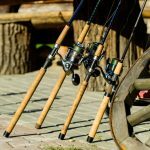 There really is a spinning reel to suit every form of fishing and every level of angler from the raw beginner to the most experienced tournament professional. If spinning reels have one downfall however it’s line twist. Unfortunately, the way line comes on and off the spool during the casting process can itself cause your line to become twisted and lead to all sorts of tangles. The most common of which often gets called a ‘wind knot’, which is quite ironic really, as these annoying little snarl-ups have nothing to do with wind, as I’ll explain shortly. Luckily, spinning reel designers have met this challenge head-on. Most of the better-quality reels have what’s known as a Twist Buster feature. Basically, it’s a specially designed bail roller which helps to reduce the amount of twist as the line is being wrapped back around the spool. Some designs also have special oscillation gearing, which wraps the line in a more criss-cross pattern on the spool to help further eliminate this annoying little problem. Despite these advances, it’s almost impossible to get rid of line twist entirely. That means, you as the angler still have a part to play. 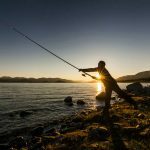 Despite their name, spinning reels are not very good at dealing with baits or lures that actually spin. Anything that rotates constantly will eventually twist your line and cause you problems, regardless of the number of swivels you use. 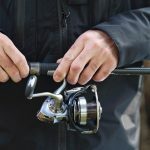 It can be as simple as your bait sitting there spinning in the current, or a lure that spins while retrieved or even when your lure picks up a bit of rubbish while being trolled and starts wheeling across the surface, and we all know how much of a tangle that can generate when it crosses another line don’t we? So, tip number one is to avoid using lures which really do spin. Tip number two is to pay attention to your lure or bait at all times. If it feels like it is behaving unnaturally, it’s better to wind it in and check rather than let it sit there spinning and creating a bigger and bigger problem. Tip number three is to never wind your reel while the line is being pulled off the spool against the drag. Each time you wind and don’t get any line back on the spool, all you’re doing is adding more twists. Follow these three little tips and you will be helping to keep your line as twist free as possible. Finally, those wind knots I mentioned early. These are most often caused by little loose loops of line on your spool. What happens is because your line is twisted, it doesn’t neatly wrap back around the spool and leaves a loop sticking out. When you cast, the wraps of line coming off the bottom of the spool catch that loose loop and pull it off with them. This results in numerous layers of line coming off at once and twisting around each other, creating one unholy mess or ‘wind knot’. The secret to these knots is to always watch what you are doing when you close the bail arm. 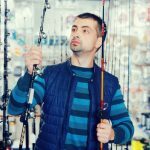 Simply by checking to make sure that the line is trapped correctly and is wrapped neatly around the spool you can pretty much avoid the problem. It also helps to ensure that there is always at least a little bit of tension on your line during the retrieve as this also aids in keeping the line neatly wrapped. If you do find a loop, here’s the easiest way to deal with it. Simply make a gentle cast to get some of the outer layers of line off the spool. Then, leave the bail arm closed and loosen your drag. With the drag backed off, pull line off the spool until the loose loop come off. Once it’s gone, use your fingers to tension the line ahead of the spool and wind it all back on neatly again. Problem solved and potential wind knot averted. Spinning reels are easy and fun to fish with. If you want to avoid line twist, just follow the three little tips of not using lures that ‘spin’, always paying attention to how your bait or lure is behaving in the water and not cranking the handle while the line is coming off the spool against the drag. To eliminate wind knots, all you need to do is pay attention to the way your line is wrapped around the spool. 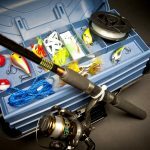 Keep it neat and tidy and you should spend a lot more time fishing and a lot less time untangling. Is there anything you can add to this great advice? Share you experience below.